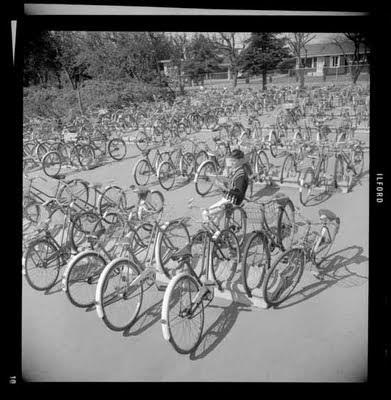 1966 – Bikes at Blundell Elementary School. Continuing the series of subversive bicycle photos that show cycling as a normal transport form in cities, we have moved on to Vancouver, Canada. Imagine if these photos made it onto the internet. 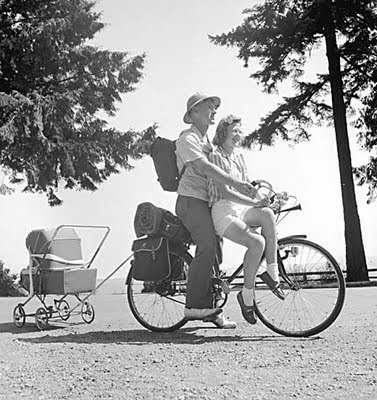 Imagine if people could see how the bicycle used to be a part of life in Vancouver and not merely some modern, white, middle-class sport/recreation/commuter activity dominated by vocal, avid cyclists. It would be scandalous. Thank goodness no one took photos of me riding a crappy bike, in regular clothes down from Lynn Valley and North Van, over the Lion's Gate to work downtown in the late 1980's. Or riding around downtown and Kitsalano in the early 1990's. Imagine what that would do to my reputation. For more modern subversive photos of Vancouver, there's always this website. Just don't tell anyone. 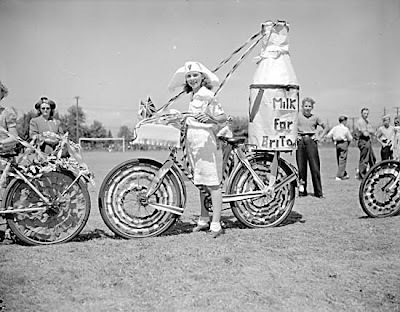 Thanks to our reader Lloyd for the link to the Miss604.com website, who found them at the Vancouver City Archives. 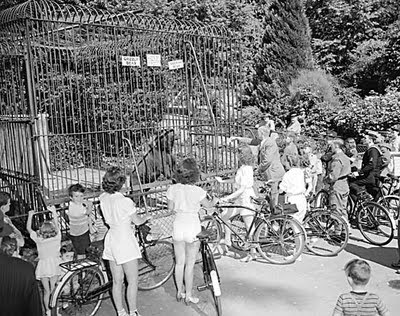 1943 – Canadian Youth Hostel bicycle hike at the grizzly bear cage in the Stanley Park Zoo. 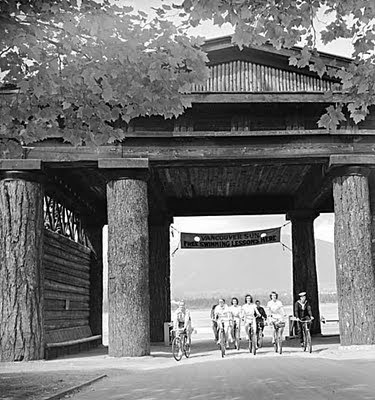 1943 – Bicycle hike at Douglas Park. 1940s – A boy examines his new bicycle license. 1943 – July 1st celebration in Richmond. 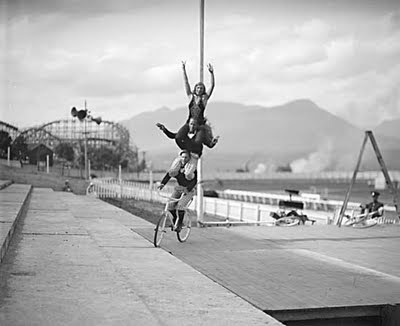 1890s – Bicycle racers and friends at Brockton Point.